Two-thirds of organizations revealed that they were concerned about security issues after seeing a flurry of news reports showing how security systems can be breached and private data infiltrated - and quite rightly so. With cyber-attacks becoming ever more sophisticated, it is extremely important to ensure that your IT security is more advanced than the threats against your organization. And this is the critical point. Whether due to complacency or naivety, too many organizations have failed to adapt security processes and procedures to reflect the changing threat landscape. From the trusted insider with admin rights, free to do as they please, through to the Advanced Persistent Threat (APT), targeted and designed to steal valuable data and leave no trace, security measures need a substantial upgrade to keep pace. Organizations, therefore, need to both increase fundamental system defenses through hardening measures and also implement a contingency measure, a completely infallible way of detecting the presence of malware if and when it does manage to bypass the perimeter. The backstop to traditional defenses ideally needs to be a real-time alert triggered by any change to file structure that might indicate compromise or the beginning of the slow move towards the central core of the business. In the mature threat landscape, File Integrity Monitoring (FIM) must be considered. 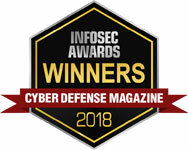 FIM is proven to radically reduce the risk of security breaches; it will flag up any security vulnerabilities present within hosts, databases and network devices and also raise an alert related to any change in underlying, core file systems – whether that has been achieved by an inside man or an unwittingly phished employee introducing malware, or some other zero-day threat blasting unrecognized past the Anti-Virus defenses. Flagging up changes in this way ensures there is no chance of an APT gaining hold; no risk of the stealth attack that gets in and out leaving no trace – there is a trace and the business is immediately notified. The fact is that every corporation is at risk at all times; 2014 is the year when IT security must get serious. New, advanced defenses and detection mechanisms must be implemented to match the sophistication of the cyber threat.